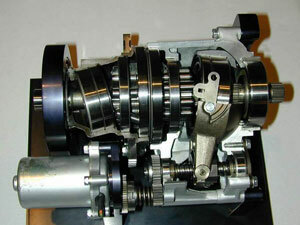 Many factors influence the longevity of your automatic transmission--some you have control over and some you don't. Most car transmissions are made to last the life of the vehicle if properly maintained and serviced. 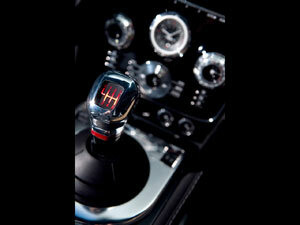 Most automatic transmissions have a filter that should be replaced, and the fluid changed periodically. Check the owner's manual for service interval, but a good rule of thumb is to change the filter and the fluid every 25,000 miles under normal conditions. What are normal conditions, you ask? The owner's manual will usually list what they feel is normal and severe driving conditions in the scheduled maintenance section of the manual. Come to All-Tech transmission where you know who will be working on your vehicle. Our repair shop has 4 service bays to get your vehicle back to you as soon as possible. We service all makes and models and specialize in foreign and domestic automobiles, and we are frequently the shop those other shops send their work to. So why not come to us directly? Watch for leaks or stains under your car. If there is a persistent red oily substance that you are certain is coming for your vehicle, you should have us check to see if it is related to the transmission or possibly from your power steering. Power steering systems also use transmission fluid. Leaks are roughly in the same area as a transmission leak. Be certain to check all fluids on a regular basis. You should check for color and odor and not just levels. To check transmission levels, the car should be running and warmed up. Transmission fluid should be a transparent red oil and not cloudy, muddy, or have a burnt odor. Be alert to new vibrations, noises, and shift behavior. Change your automatic transmission fluid every 15k miles or every other year - whichever comes first. Allow your vehicle to warm up sufficiently on cold mornings. 5-10 minutes of idling time to warm up is good before putting your transmission in gear. This is particularly true in very cold weather. Major transmission mechanical problems are not commonly subtle. You will typically feel clutch slippage, hear abnormal sounds during the drive or shift, you will lose a gear (forward or reverse). In cases like this your transmission is failing or already failed. But a leak is not. The most expensive repair you can have is one you do not need! Let us check before you panic!